Property and Casualty insurance marketers are responsible for acquiring and retaining customers. Easy, right? Wrong. Very few new customers are entering the P&C insurance market. A recent Bain & Company report showed only 2% new customer growth this year. Simply put, one insurer’s acquisition success will be another insurer’s retention failure. Most acquired customers are people who switch from a competitor. So when it comes to direct mail, it’s all about customer acquisition. Advertising spend directly correlates with customer acquisition rates. The top performers in acquisition spend 50% more than average on advertising per customer. Of the nearly four billion pieces of insurance direct mail last year and nearly two billion pieces sent by P&C insurance companies during the first six months of 2014, 98% of direct mail efforts were focused on acquisition compared to just 2% for retention according to Comperemedia. The art of successful P&C insurance direct marketing campaigns is identifying the contrast between those focused on acquisition and those focused on retention, and then using skillful strategies for each approach. According to survey results from Bain & Company, customers buy home and auto insurance primarily based on price. Two-thirds of respondents price shop at more than one provider, while 84% identify themselves as price-sensitive customers. P&C insurance acquisition direct marketing campaigns should focus on price incentives to achieve results. Happy, loyal customers will stay longer, buy more products with their primary insurance carrier and make more referrals to friends and colleagues. P&C insurance retention direct marketing campaigns should focus on personalized and targeted offers sent to selected customers expressing appreciation of their loyalty. Affix an instant access quote card or price savings incentive card to your mailpiece. Cards get noticed and can be kept for future reference. Personalize and target your offer so the customer feels they are receiving it in appreciation of their business. Promote customer-focused offerings like access to 24-hour customer service. 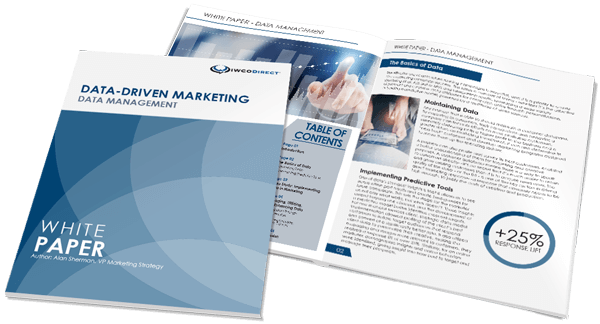 Engage in cross-channel marketing by directing respondents to your website to claim the cost savings offer. Direct mail continues to help insurance companies grow their business, so consider these trends and best practices to create more successful P&C insurance acquisition and retention campaigns. You will appeal to the price-sensitive prospects and customers as well as increase retention among your most loyal customers. Contact us to learn more about our direct mail services and how they can serve your needs in the insurance industry.